Here at Avid Design Group we are very happy to announce the launch of several new website projects that were completed and not previously added to our Blog to finish out the 2017 year. 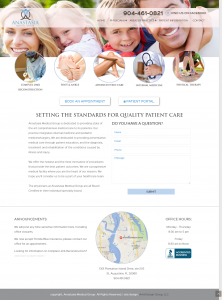 Three of the four new website design and development projects we are featuring are for existing clients. The other project is for a new client to our agency. Avid Design Group has been successfully designing and developing custom, professional and affordable website’s for 19 years to various size businesses. 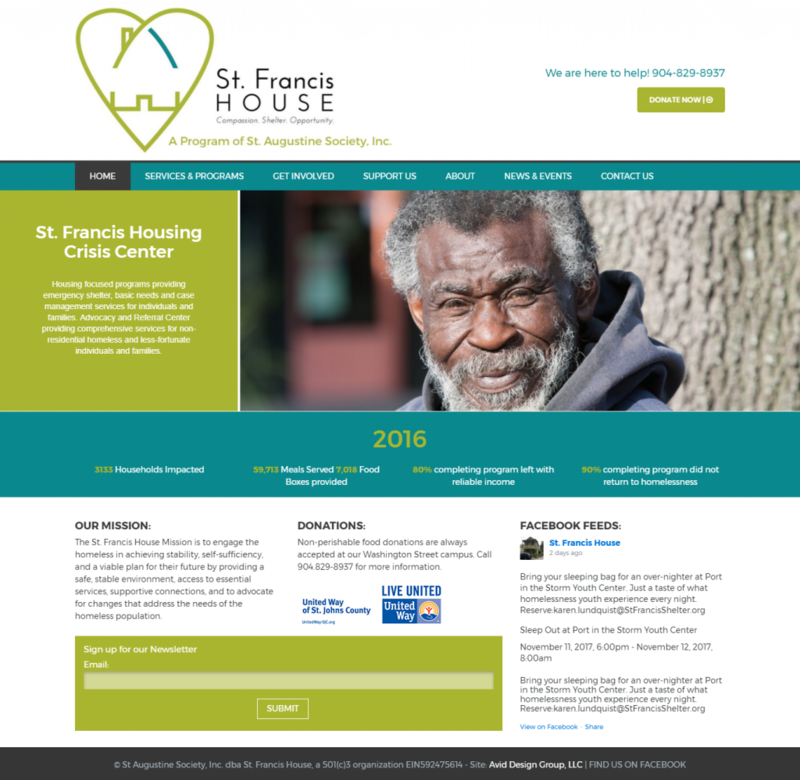 We would like to welcome St. Francis House as a new client to our client family. We recently designed and developed a custom designed WordPress programmed website to feature their homeless and homeless advocacy services provided in the St. Augustine, Florida area. You can learn more about the history, mission and services of St. Francis House by visiting their website at: www.StFrancisShelter.org. In keeping up with modern design and programming standards, as well as the changing needs of their business, three of our existing clients had our agency design and develop an entirely new website for each of them. 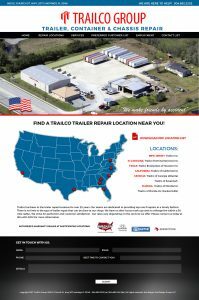 Anastasia Medical Group, Trailco Group and All American Air Charitable Foundation each had new website’s launched in the last quarter of 2017. Each are custom designed and programmed in the WordPress platform to fit the unique business needs of each Client. The following images are screenshots from each of the website’s homepage. Please click on the previously provided hyperlinks to visit each of the completed websites.